The greenest red bike ever. A 250 watt motor and a lithium ion battery allow this pedal assist bike to accelerate up to 25 mph in a hurry.This is my new screaming commuter bike. 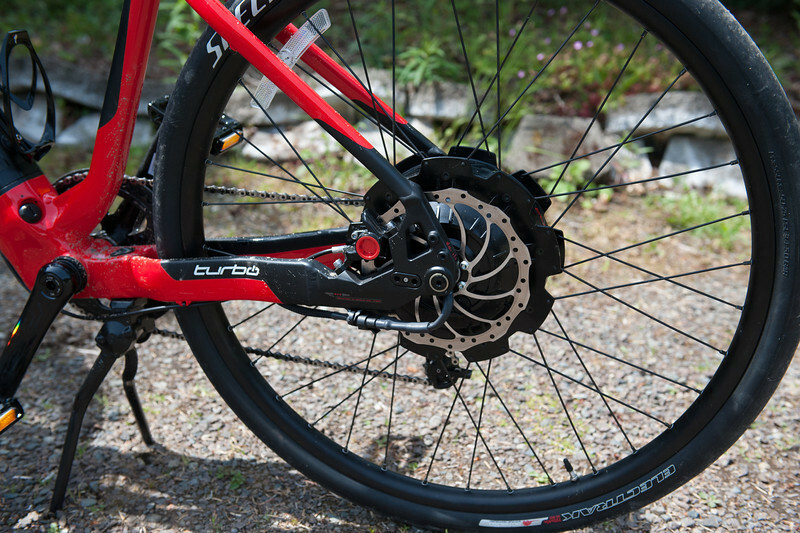 Motor and disk brake -there is a torque sensor that detects pedal effort and adds motor effort! The wheels are 29" and are slicks.